One of the fastest growing markets in the banking and capital markets sector (PwC, 2018), the Middle East banking outlook looks stable in 2019. Rating agency Moody’s Investors Service assigned Gulf banks a stable outlook on the back of improving operating conditions, strong capital and weakening but still solid lending. Rising oil production, government infrastructure spending in Dubai and a fiscal stimulus package in Abu Dhabi will play key parts in Moody’s forecasted GDP growth of 2.9% in 2019. Strong capital levels will provide a loss-absorbing buffer for the UAE’s banks, and Moody’s expects strengthening profitability to support capital levels. Sector-wide tangible common equity (TCE) are at 14%-15% of risk-weighted assets over the next 12 to 18 months, according to the report. 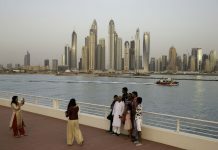 Banks in the region, including the UAE, are also exploring mergers to stay competitive. In a highly fragmented market, creating bigger banks would help with the UAE banking sector’s medium and long term progress. Currently, the three-way merger of Abu Dhabi Commercial Bank (ADCB), Union National Bank and Al Hilal Bank, which is expected to be completed in the first quarter of this year, seeks to reinforce investors’ confidence. This merger would result in GCC’s fifth largest bank with a capital of $13.8 billion (Dh51 billion) and assets of about $120 billion (Dh440.7 billion), according to local news reports. Dubai, home to the Middle East’s biggest financial center, also plans to triple the size of its banking district, adding an area almost the size of London’s Canary Wharf. The outlook for Saudi Arabia’s banking system is stable as the nation’s economy will return to growth this year, bolstered by higher public spending and other stimulus, according to the Moody’s Investors Service report. Saudi Arabian banks may report double-digit earnings growth this year as rising interest rates and increased government spending offset the risk of higher bad-debt charges. Even loans may expand faster — albeit nowhere near the pace of a decade ago — after four years of declines led to a contraction in 2017. The government’s 2019 budget increased spending in the face of plunging oil prices, casting doubt on whether the kingdom will hit its fiscal-deficit targets. The better outlook comes as the kingdom’s biggest lender, National Commercial Bank announced the start of takeover talks with Riyad Bank. The proposed merger of National Commercial Bank and Riyad Bank, the first and fourth biggest Saudi banks, would create an institution with $182 billion in assets. Other firms are also said to be weighing potential mergers as the central bank and sovereign wealth fund, which owns stakes in some Saudi lenders, explore the possibility combining banks to increase their scale. The Central Bank of Oman (CBO) continues to pursue monetary and banking policies supportive of growth in the country, while the outlook of the banking sector continues to remain moderate to positive in 2019. Moody’s, however, has maintained its negative outlook for Oman’s banking system, reflecting the diminishing capacity of Oman’s government to support the country’s banks in case need. The negative outlook also reflects banks’ softening asset quality and relatively tight funding. Both, Moody’s and S&P upgraded Qatar’s 2019 banking outlook to ‘stable’ from ‘negative’. 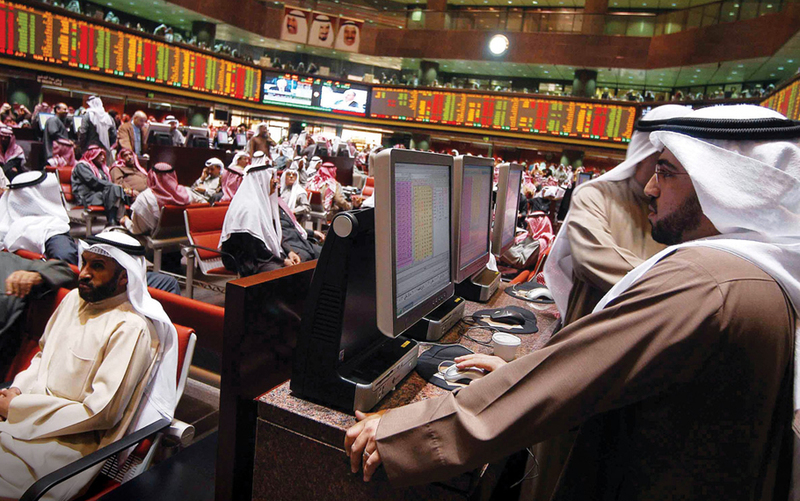 The stable outlook primarily reflects S&P’s view that Qatar will continue to effectively mitigate the economic and financial fallout of the blockade imposed on the country in June 2017. S&P believes that the Qatari authorities have “sufficient resources to continue to successfully manage” the blockade fallout. Moody’s Outlook for ‘GCC Banks for 2019’ showed Qatar’s banking system showed stability in all the seven components of credit drivers, including operating environment, asset risks, capital, profitability & efficiency, funding & liquidity and government support. Qatar is among the two countries in the region which ticked all these boxes as ‘stable’ in Moody’s Outlook for the GCC Banks. The rating agency noted Qatari banks are most reliant on confidence-sensitive foreign funding, along with Bahrain, in the region. The 2019 Outlook expresses the rating agency’s expectation of how banks’ creditworthiness will evolve over the next 12 to 18 months in the GCC. Current oil prices will support increased government spending, and stimulus packages such as Qatar FIFA 2022, and will underpin banks’ stable financial performance, said Nitish Bhojnagarwala, Moody’s Vice President – Senior Credit Officer. Moody’s changed its outlook for the country to ‘stable’ from ‘negative’, while maintaining its sovereign issuer rating at B2. 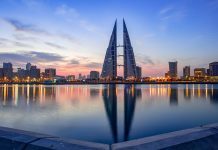 Fiscal pressures will weigh on banks in Bahrain, where oil prices will remain below the fiscal break-even level, the ratings agency said. Lending growth in 2019 is expected to be between six-seven per cent. In 2018, Bahrain pledged to implement steps to repair its strained finances and Prime Minister Khalifa Bin Salman Al Khalifa set up a committee to devise plans to balance the budget. Following which, Bahrain’s battered bonds recovered to become the best performer in the Gulf last year after Saudi Arabia and other allies came to the rescue in October with a $10 billion package. Dr Waheed Al Qassim, CEO of Bahrain Association of Banks (BAB), pointed out that this new outlook of Moody’s is a positive shift in the credit rating recorded for the first time to the kingdom. Bahrain was able to reverse the index and start to climb higher hoping to reach the levels of 2010 when the rating stabilized at grade (A).